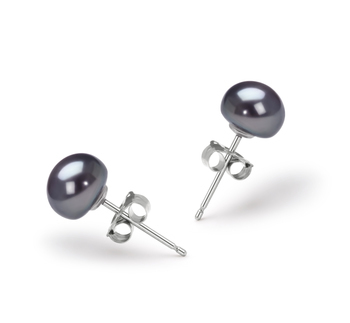 The round 7-8mm black Freshwater pearls have an elegant note. 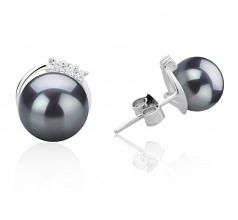 The silver frame is enriched with three little diamonds that make the glow of the pearl itself shine even more making these small earrings an elegant choice for your day to day looks, as well as a choice for a fancy night out. They say simple single pearl studded earrings will never go out of fashion, which is true, however. 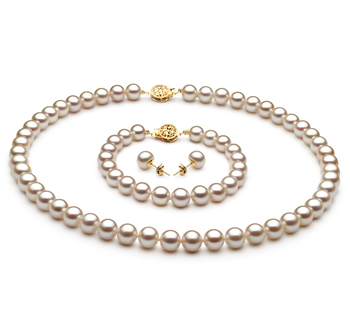 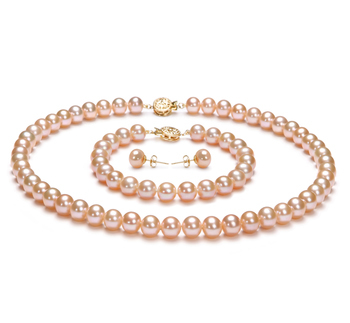 Complimenting each pearl with some metals like gold or silver, you will actually have a pair of elegant and durable pearls that are easier to maintain. 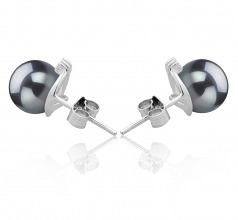 This is why the Leslie silver earrings in white are a perfect choice, as they merge the traditional with modern and sophisticated. 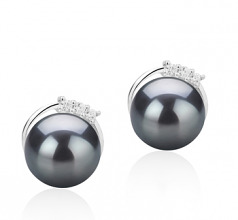 Show only for "Leslie Earring Set"